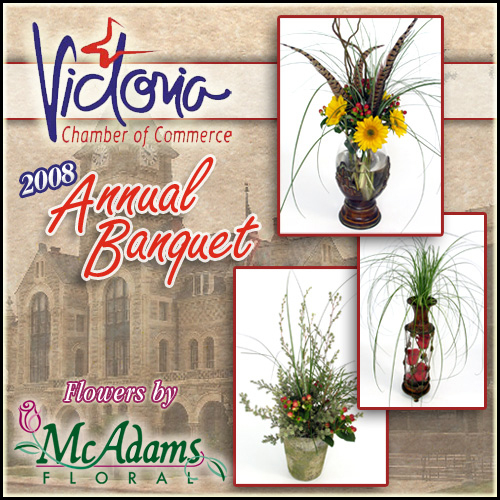 McAdams Floral can assist you in making all your special events memorable. Our design team has the talent and experience to create the perfect setting for all typs of occasions whether personal or corporate. We look forward to helping you plan your next celebration. These are just a few examples. We can create the appropriate surrounding decorations and the beautiful atmosphere for anything you can imagine.